"The cycle of all living things. Gardens like many beautiful things one thinks will never change – never cease to be what they are, never die. They follow the cycle of all living things – never remaining the same. Take notes to help remind those in later years of all they possessed so that they may imagine dreams and perhaps renew part of what has been." Mrs. Mellon established OSGF to preserve her gardens and library for scholars and lovers of horticulture into the future, and since the Foundation started work in its current form in 2016, we are "those in later years" who are imagining her dreams and renewing what has been. Her property and gardens underwent constant change during her lifetime, and sadly by the end of her life the Oak Spring Garden fell into a state of disrepair. Most of the artwork and furnishings in her house were sold at a Sotheby's auction. Our efforts to revitalize Oak Spring aren't so much to keep it exactly the way that it was like a museum, but to reintroduce the spirit and aesthetics of Mrs. Mellon to this place in a way that it can still be used and interacted with by those who visit as part of our programming and mission. Oak Spring’s living room, with facsimiles of the artwork that once hung on the walls. For example, in her home, we no longer have the original masterworks that hung on her walls, but we do have the technology on our site to produce high-quality facsimiles of her originals. In this way, we can decorate the house with convincing reminders of what was once there but has since been sold or donated. We can point to the walls and discuss with guests the Mellons' art philanthropy and tell them which museums the originals now live in. That same technology is allowing us to digitize the collections in the Oak Spring Garden Library for access online, and to create reproductions of the library materials that will travel to students around Virginia. We have begun the ongoing process of returning her garden to life, using the notes Mrs. Mellon took to keep with her design sensibilities. A good resource to learn more about this is the recently-released book The Gardens of Bunny Mellon, which includes beautiful photographs of the garden as it looked last year, after our work to revitalize the garden began. As Mrs. Mellon’s gardens are returning to life, the produce they generate is being used to supply our kitchen and local food pantries. Mrs. Mellon also wrote that "a garden is all the space – the landscape that is yours to put together." With this in mind, our activities have gone beyond the walls of her Oak Spring Garden and into the surrounding landscape. A major achievement of ours was the acquisition of a parcel of land called Rokeby, just across from the property with her home and library, that was also part of the Mellon estate. It brought the Foundation's property up to about 700 acres and is a rare story of estate reunification. 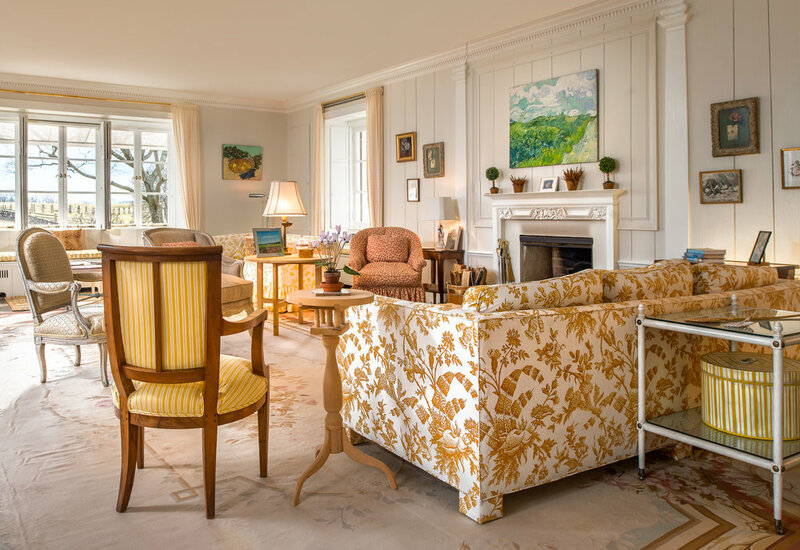 Bunny and Paul Mellon did important work in land conservation, and another way that we believe we can continue Mrs. Mellon's legacy is by implementing sustainable land management practices throughout our property. We had a survey done of roughly 263 of our acres to document the geological, ecological and cultural histories of the land and to recommend conservation-minded land management goals. Our holistic approach to this preservation and activation is just getting started. As we build towards our future, we will always keep the history of Oak Spring in mind. In this way, though the Mellons are gone, their legacy will continue to flourish and cultivate in others a love for the vitality and beauty that the natural world has to offer.